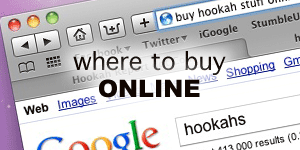 Full discosure: I received this product for free from Hookah John at HookahJohn.com. John unofficially announced (around November) that after all of his research and development of this product, he was not going to release the bowl. I was the first person to ask for one of his last prototypes . He sent it to me for free with my next purchase. He did not give it to me in exchange for a review. Shortly after I received the bowl, for reasons unknown to me, John decided to release the product to the market for test run. 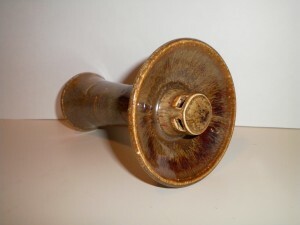 The bowl has sold so well it is safe to say that this product will be a fixture at HookahJohn.com. Playing off of his HJ mini Alien Bowl, he has created a HJ Flying Saucer Bowl (FSB). 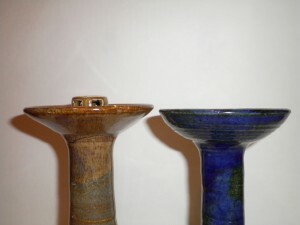 The design is a hybrid of the Alien’s small saucer shape and the familiar concept of a vortex, which is similar the the widely available Sahara Smoke Vortex bowl. Although, I think I have read somewhere that Eric, of Tangiers Tobacco, claims to have created the first vortex bowl years ago. Like most of Eric’s Creations, it was supposedly sent to the trash for reason unknown to me. It is very easy to see the concept behind the FSB. The center spire protrudes just above the crest of the bowl and instead of one giant hole going down the center (like a phunnel) the spire has four rectangular holes on its sides. 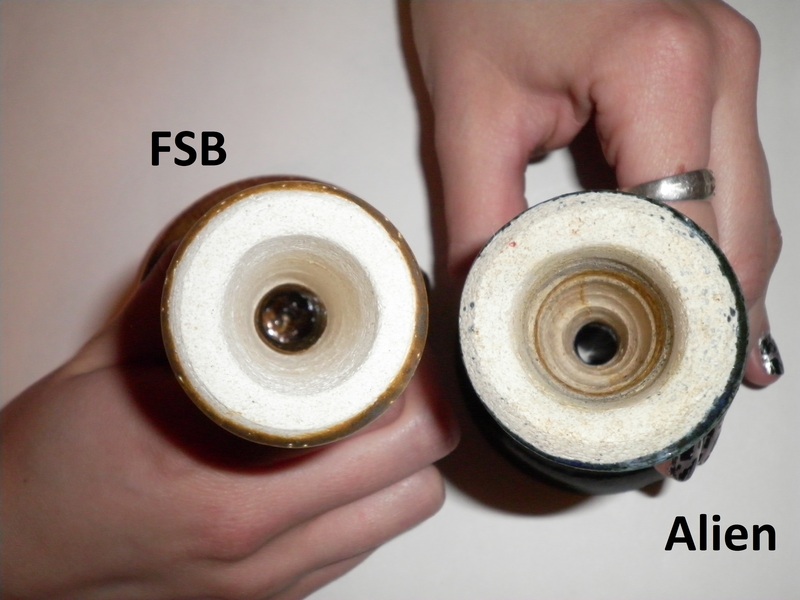 Once you get over the uneasiness of seeing the middle of your bowl with a bulging lump surrounded by pleated foil, foiling and packing the FSB are just about the same as the Alien and will yield about the same results. I can’t tell you how durable this thing is. I’m not going to throw this bowl down the hallway just to tell you how went. The only reference I can give you is that it is made of the same material that the Mini Aliens are made out of and seems to be constructed to about the same specifications. Its not a sissy bowl, but it might break if you slip up just once. I have come to believe that the FSB is heating the tobacco in a different way than the old phunnels. A phunnel bowl absorbs heat from the coals that are set on the edge of the bowl. That heat is coming from the outside (walls) and going in (the center spire). The FSB is doing exactly the opposite and providing fantastic heat distribution. 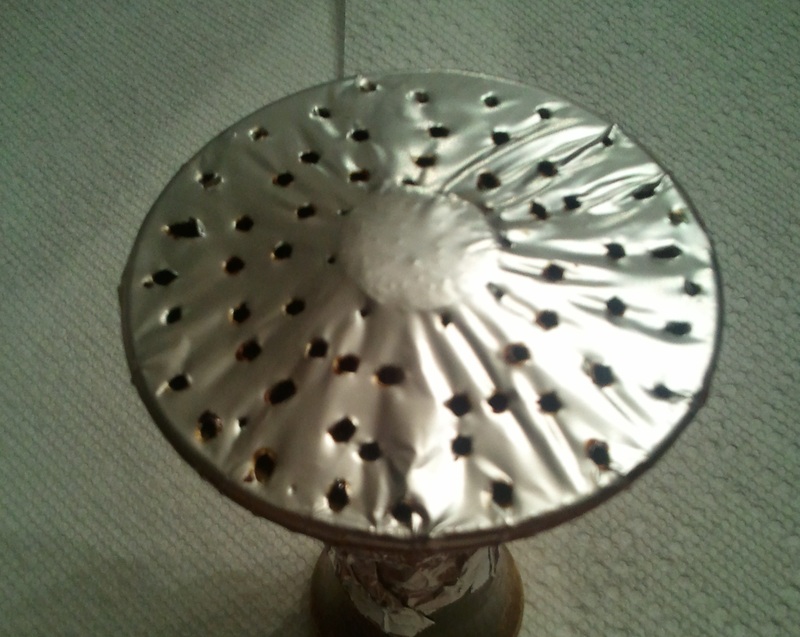 By setting the coals on top of the spire, the spire is drawing heat to the center of the bowl and distributing it outward. On an Alien Phunnel bowl, the shallowest part of the bowl is the outer rim. 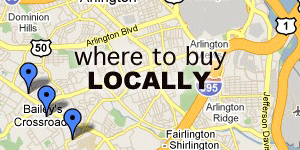 That has always been the point of contact for the coals and subsequently the hottest part of the bowl. With this new design the deepest part of the bowl, the part with the most tobacco, has become the hottest point in the bowl. As the heat is drawn out to the shallow edges, it dissipates and creates a cooler climate for the thinly spread tobacco. The new raised spire does way with the old days of occasional air lock (when the foil hits the spire “locking it up”). The new height also lets the smoker “dial in” coal temp. 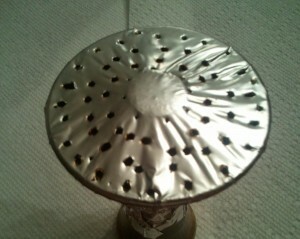 For a cooler smoke, set the coals on top of the spire. If the coals are dying down, just move them down the slope so the coals will be closer to the tobacco providing more efficient heat application. The raised spire leaves the foil with a very noticeable slant. 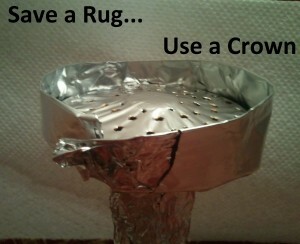 If you are an oober klutz and/or you bump the hookah, you will be losing your deposit on your apartment. The steep grade of the bowl is unforgiving. I already burned a hole in my floor. To offset this drawback, us rectangular or cube shaped coals and keep them fresh so as not to lose their edges and take a dive. Although the grade of the foil leaves your floors and hardwoods susceptible to mini flaming avalanches, I have found that the flying saucer bowl is worthy of being in every enthusiast clay collection. 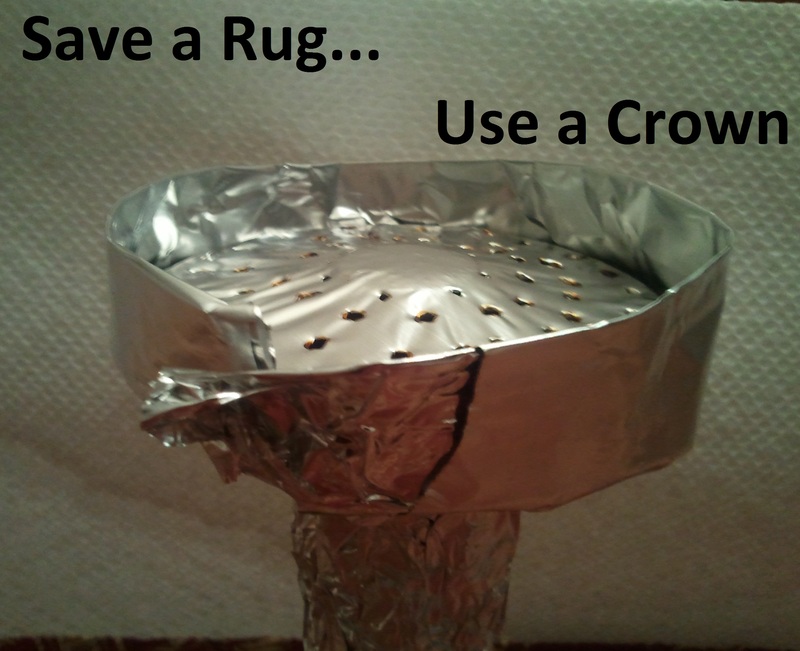 Implementing a foil crown will give you the security you desire and the bowl will yield the flavor your looking for.